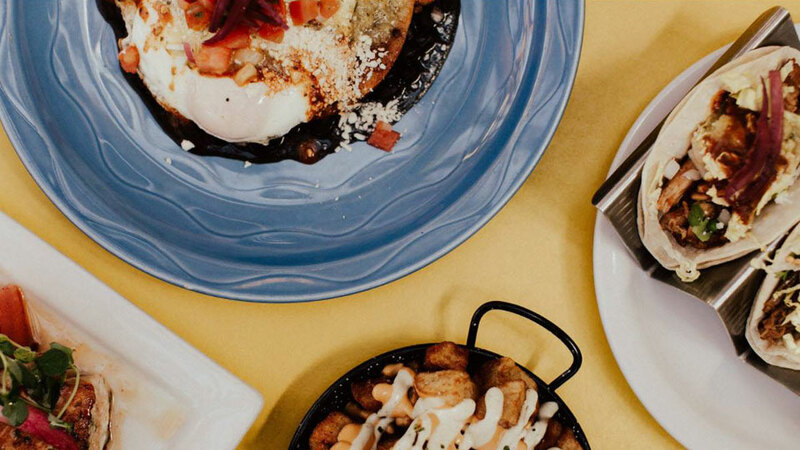 Barrio, a Latin inspired restaurant serving lunch, dinner and happy hour in downtown Bend, started out as a tiny food cart and has now blossomed into a bricks and mortar dining destination. Barrio is Spanish for “neighborhood” and in this neighborhood, you’ll find bold, flavorful food, craft cocktails, daily specials, and friendly, approachable service. The lunch menu features flavorful salads and sandwiches as well as a variety of street tacos, all with a Spanish and Latin American flair. The dinner menu focuses on a wide range of small plates; tapas that are meant to be shared and make the most of the season’s offerings, not to mention the chef’s imagination. Menu items change regularly, and daily lunch and dinner specials are posted on the floor to ceiling chalkboard in the center of the restaurant’s lively, vividly colored space. The atmosphere is family friendly and an innovative kids’ menu introduces young palettes to options that go beyond nuggets and pasta. At the full bar the creativity continues with daily drink specials augmenting a list of locals’ favorites such as the Poblano Mule, Grilled Pineapple Basil Mezcal, and house made sangria. When the sun shines, take your frosty beverage on the back patio and enjoy the warmth of the neighborhood.